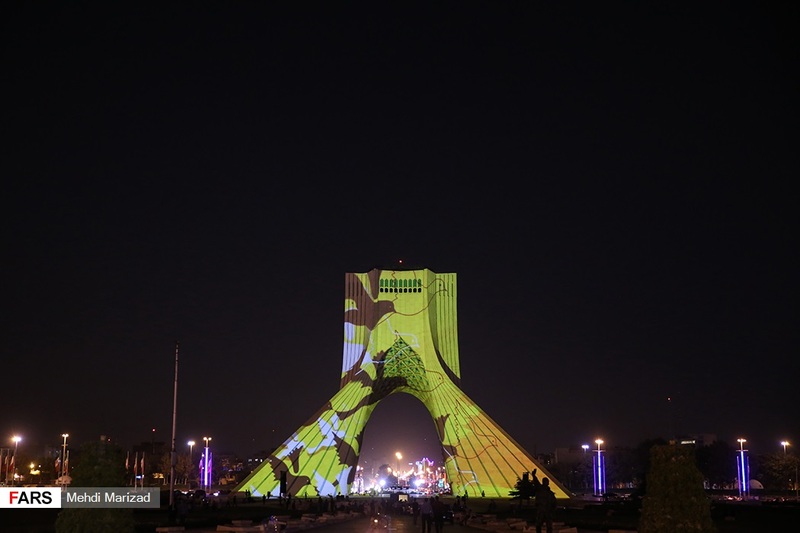 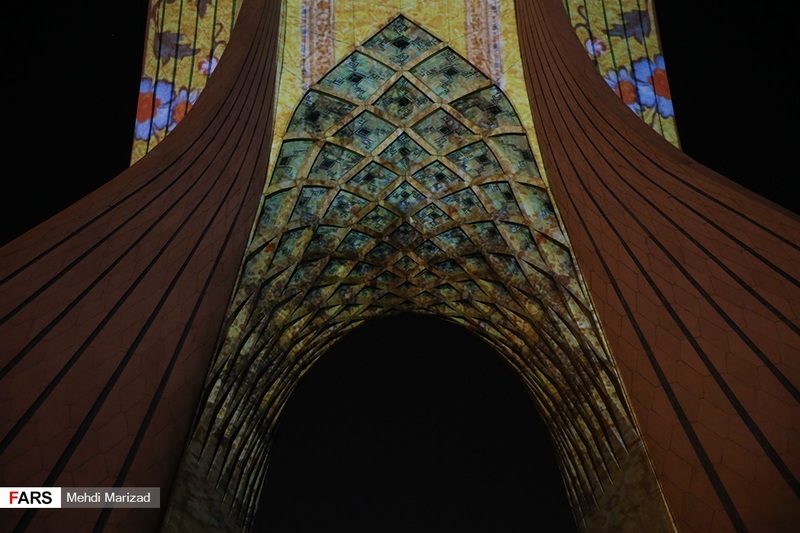 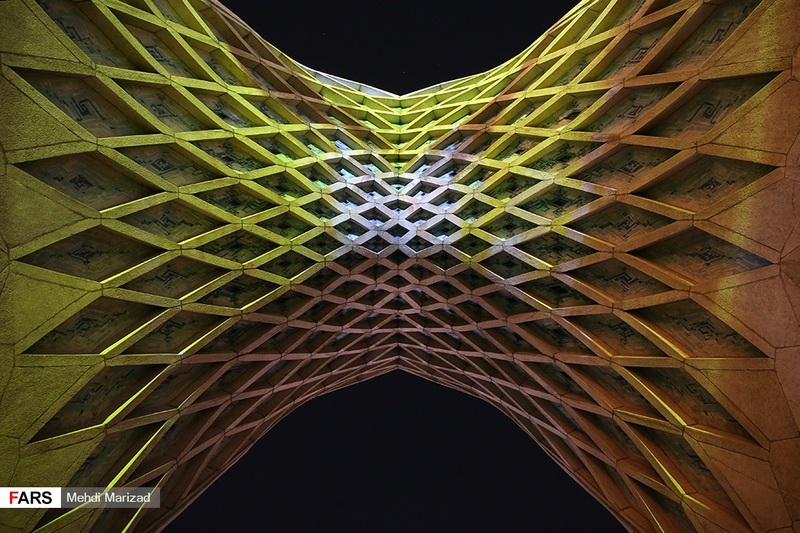 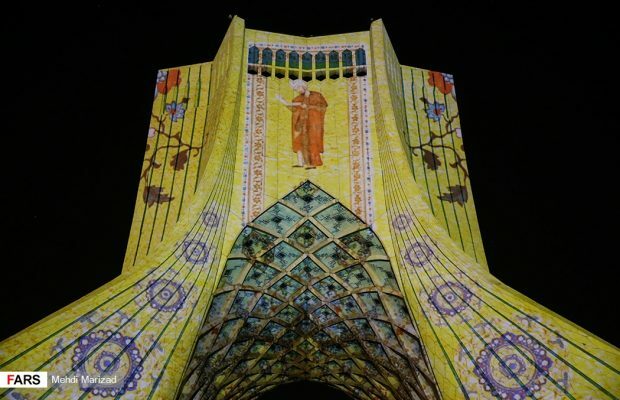 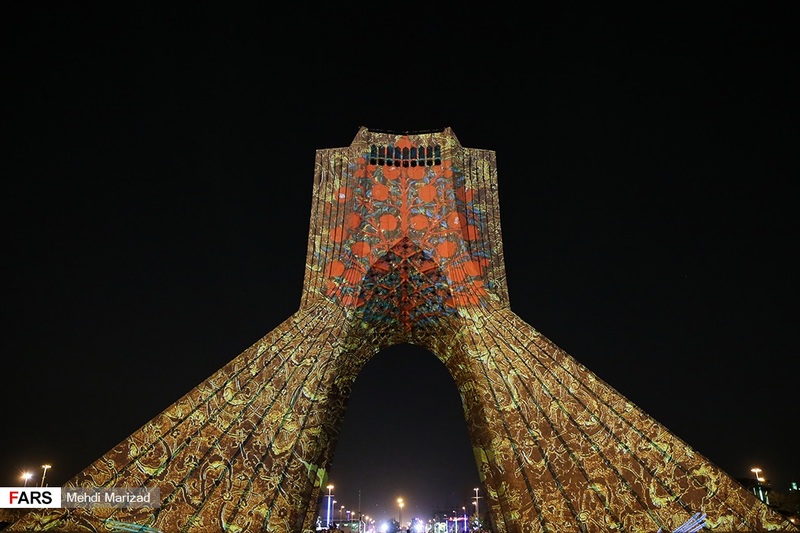 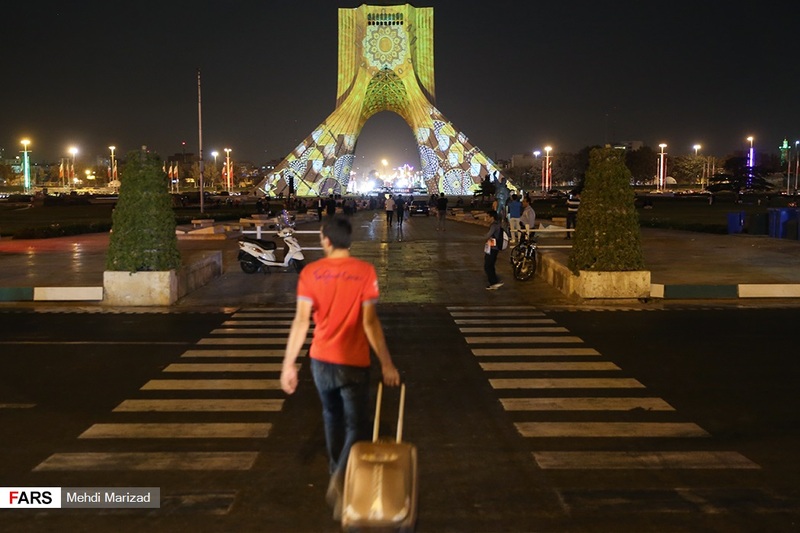 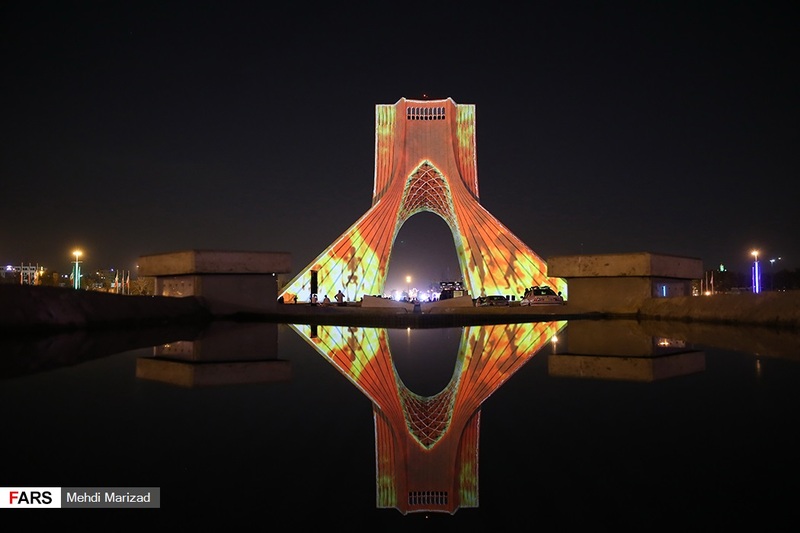 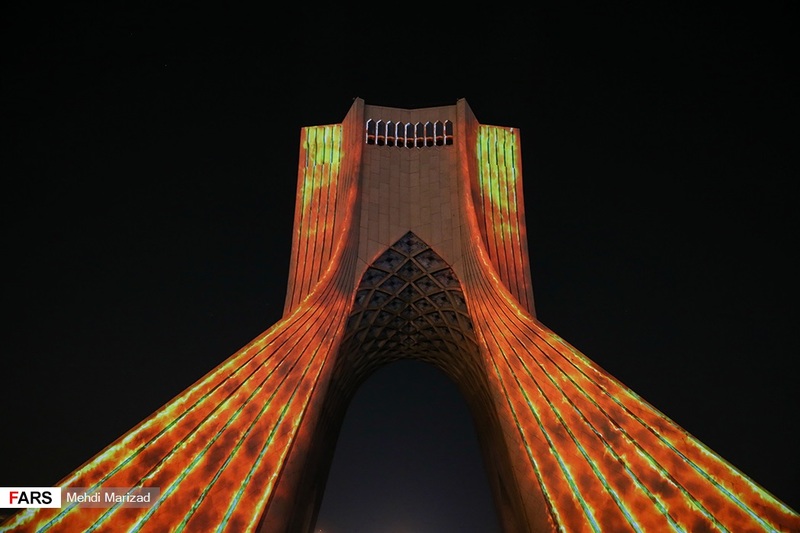 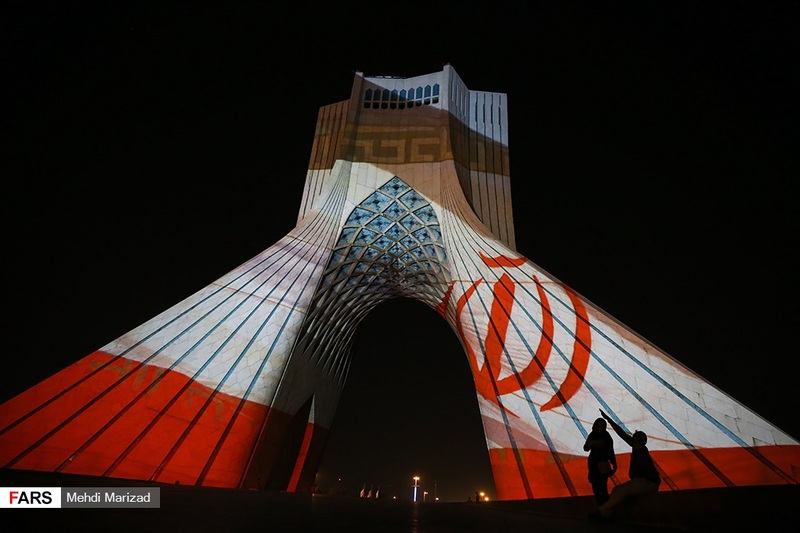 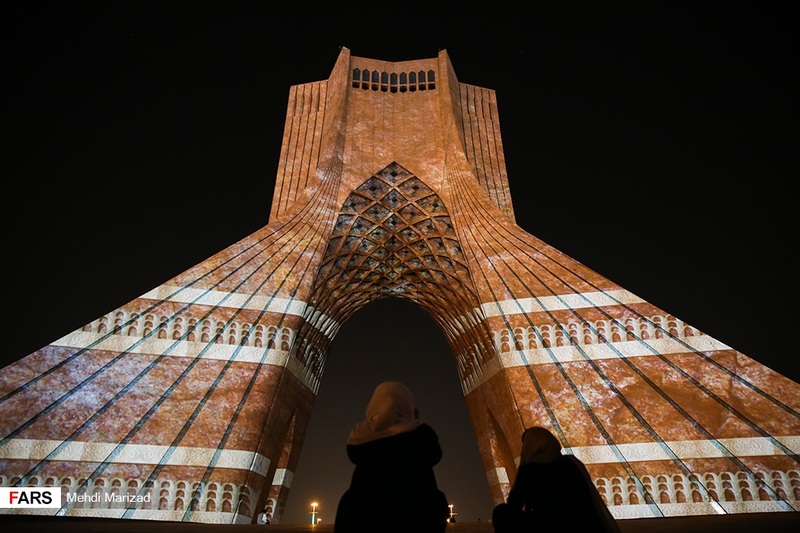 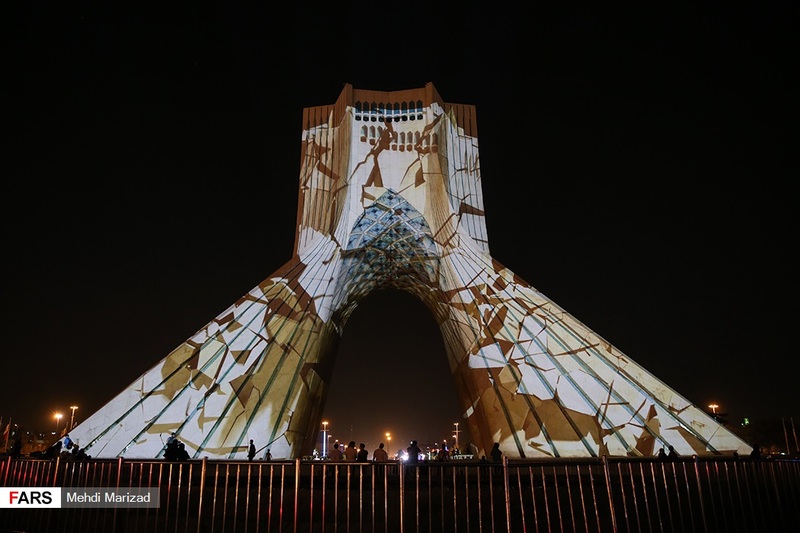 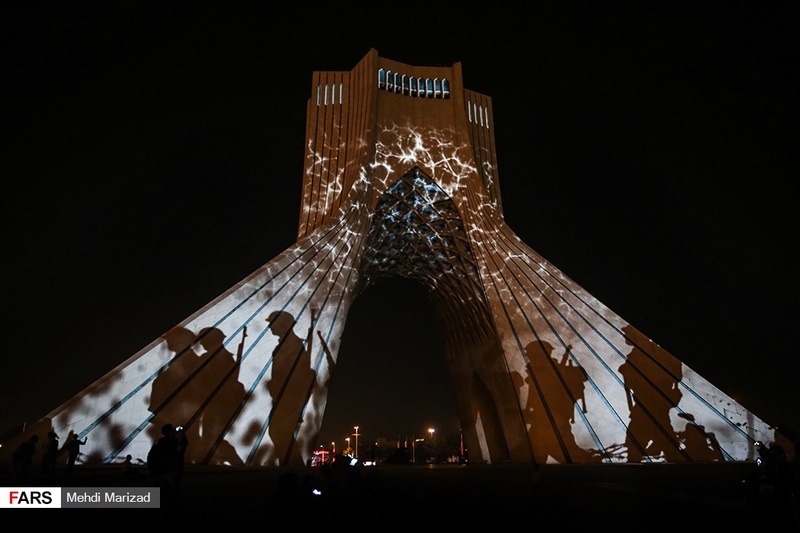 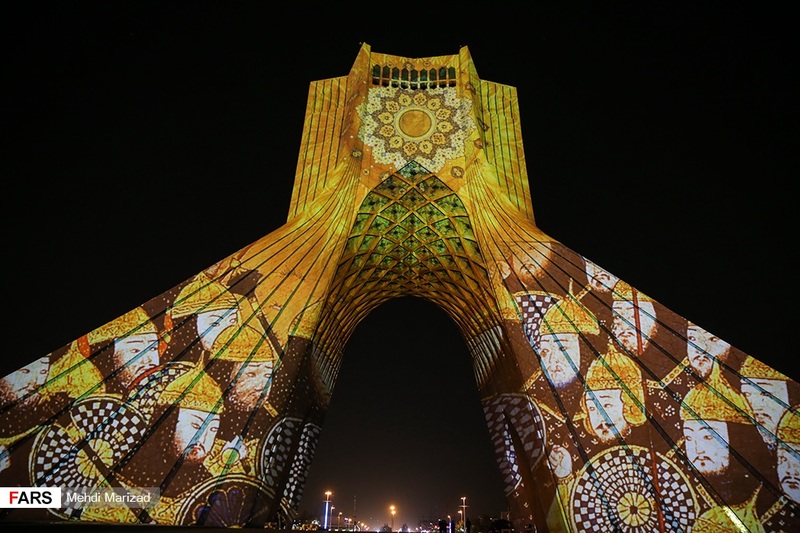 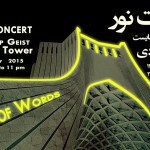 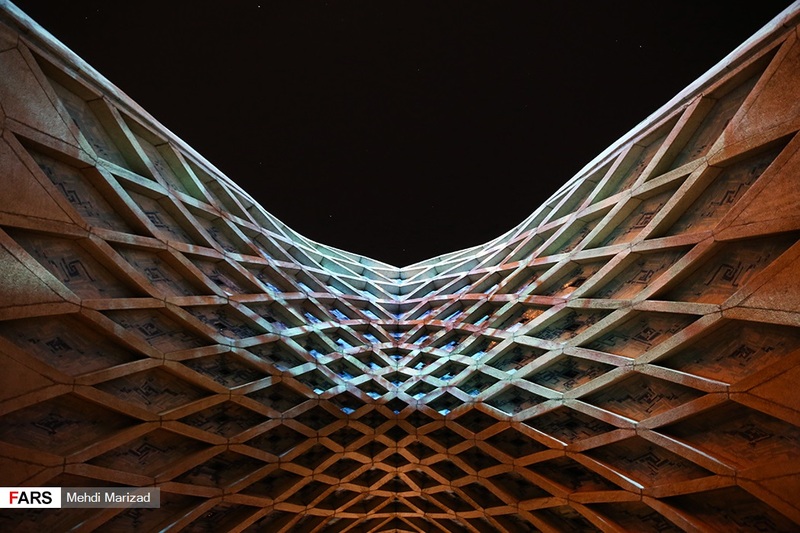 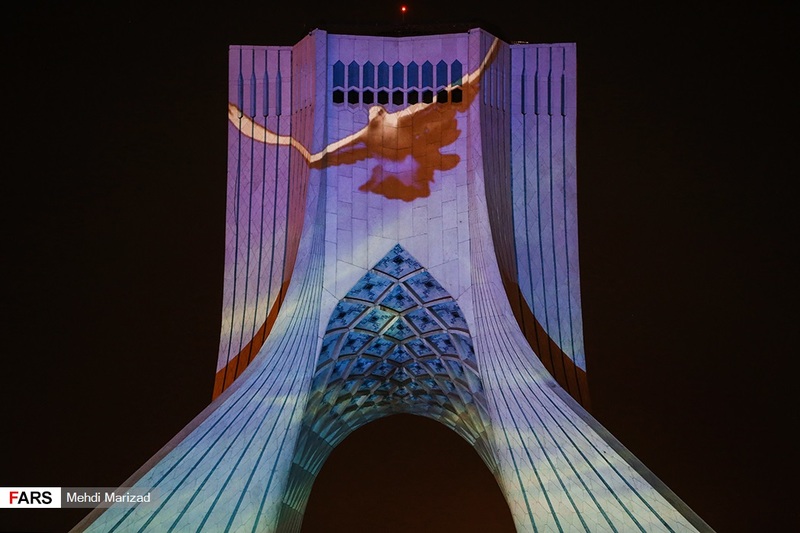 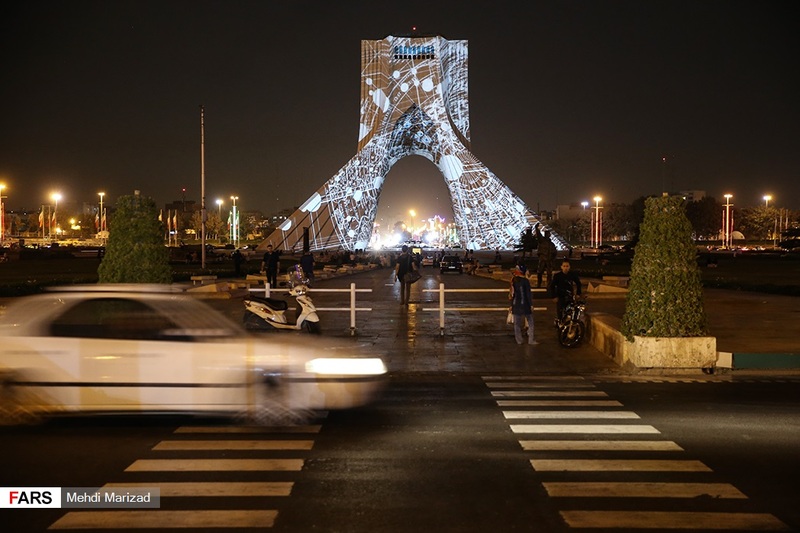 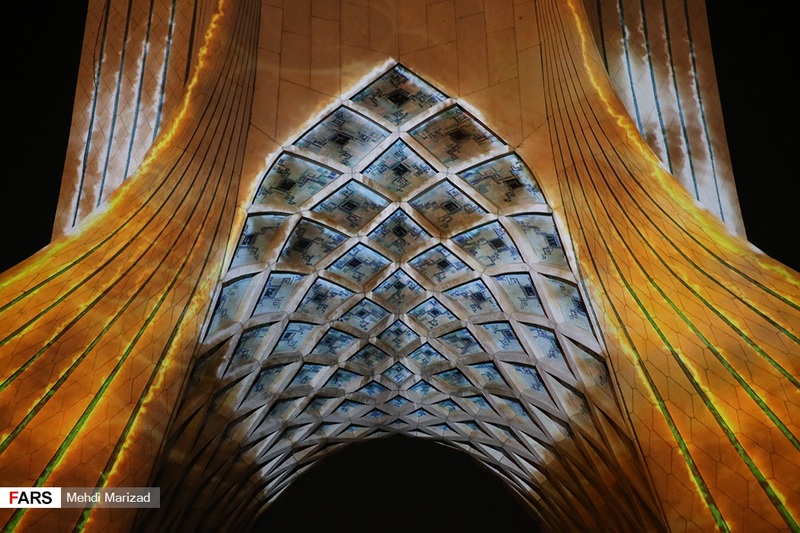 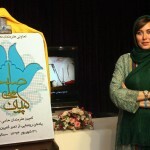 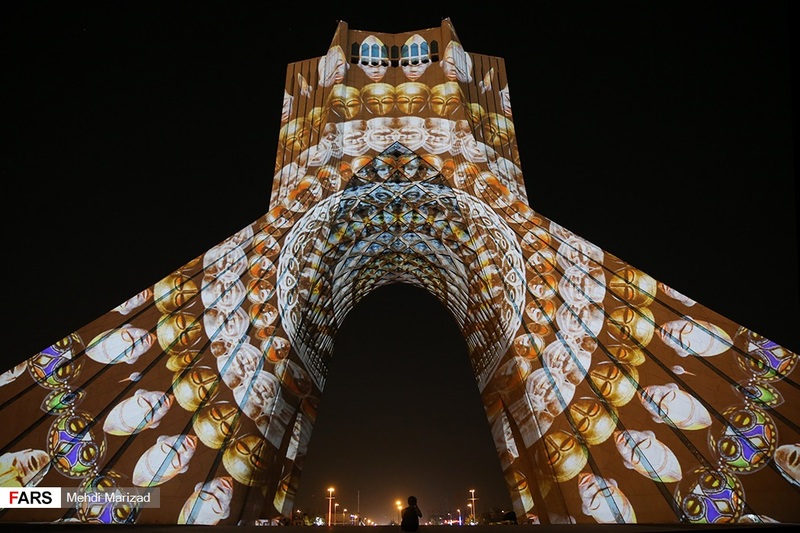 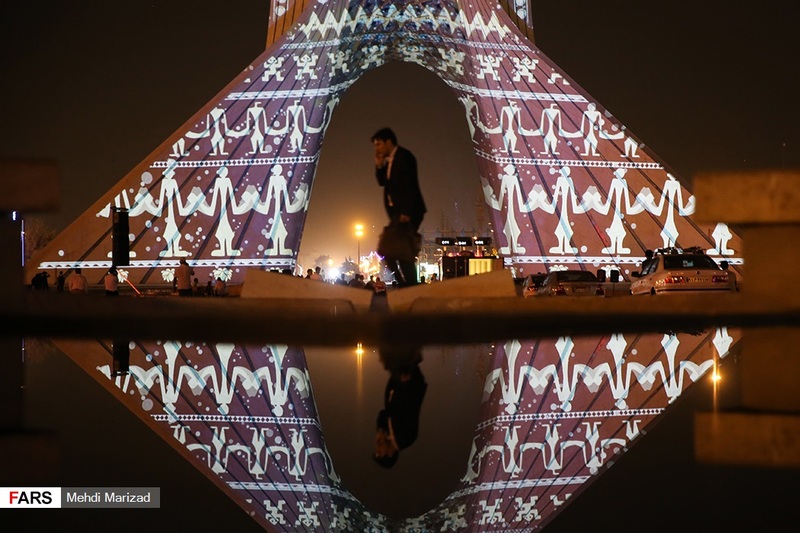 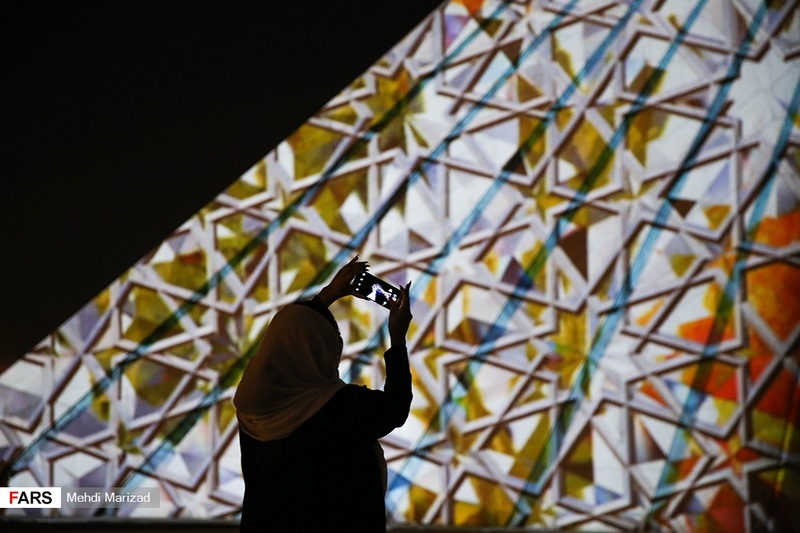 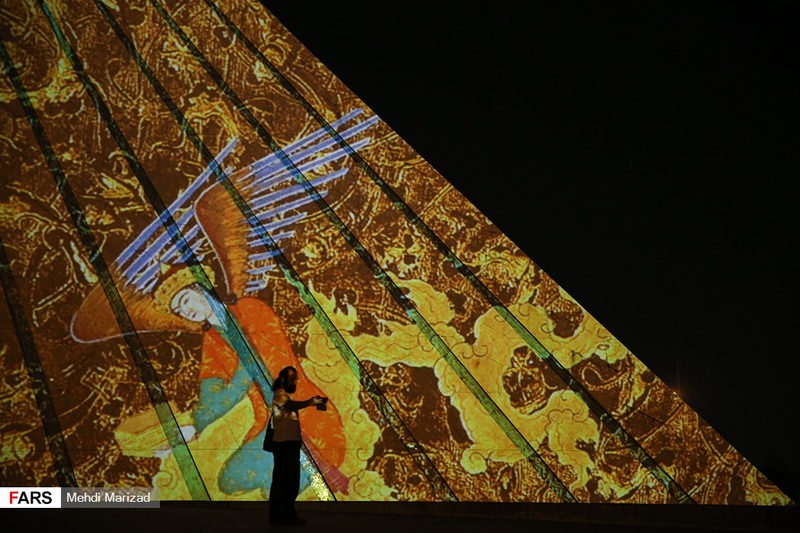 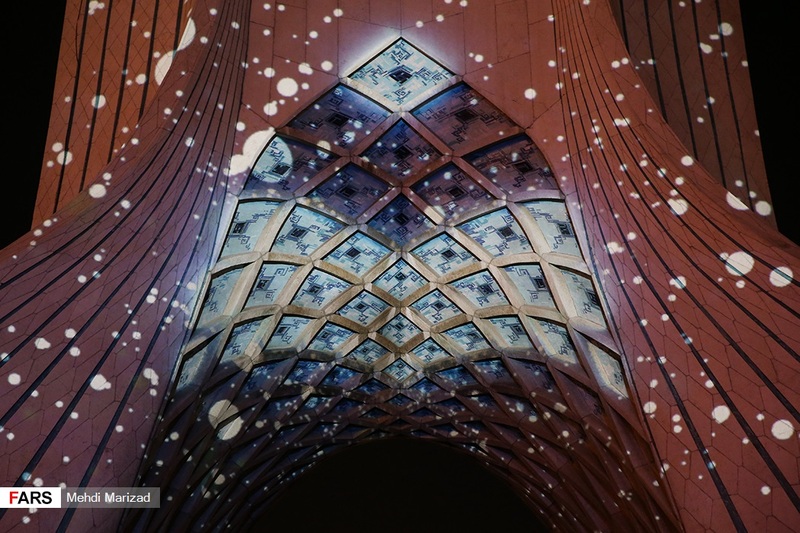 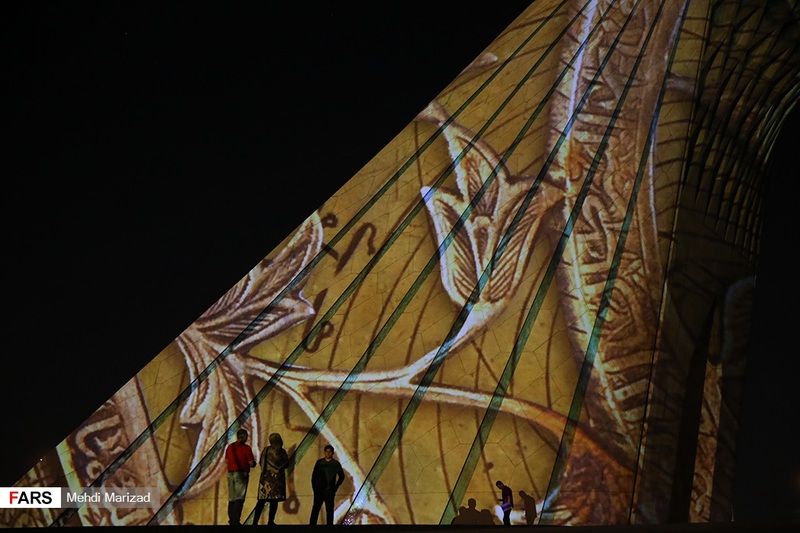 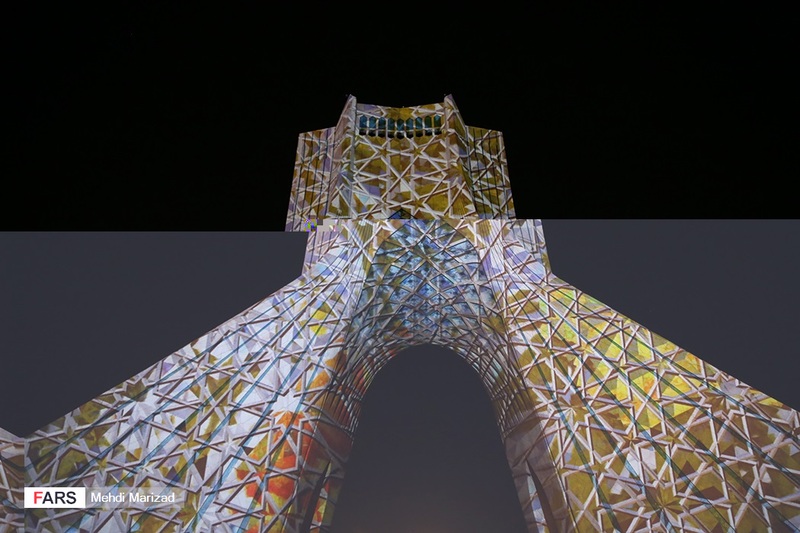 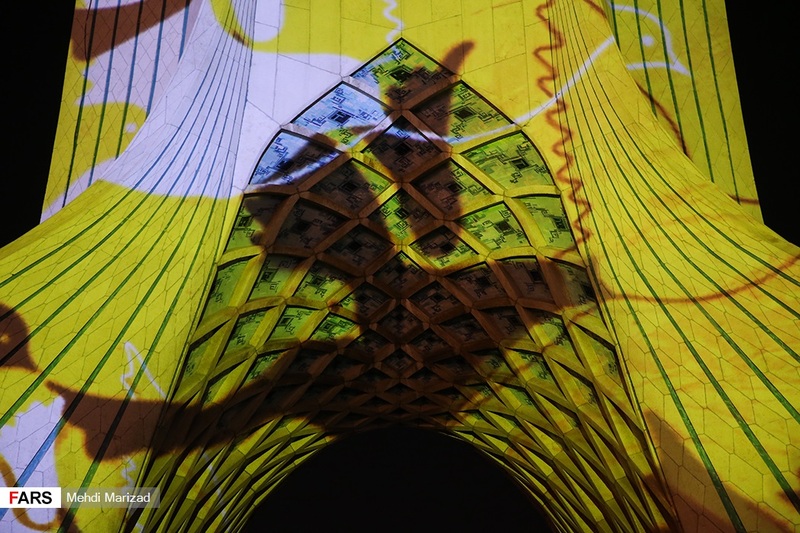 Iranian artist, Amir-Reza Salari, has developed a projection mapping light installation entitled ‘Birds of Peace Light Symphony’ at the Azadi tower. 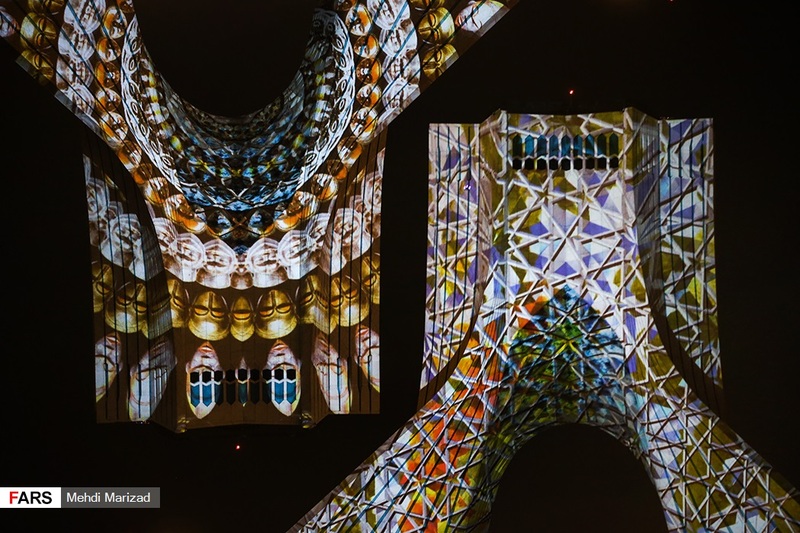 The installation visualizes the topics of freedom, peace, space, and time artistically by featuring aspects of world literature, history and monotheistic religions. 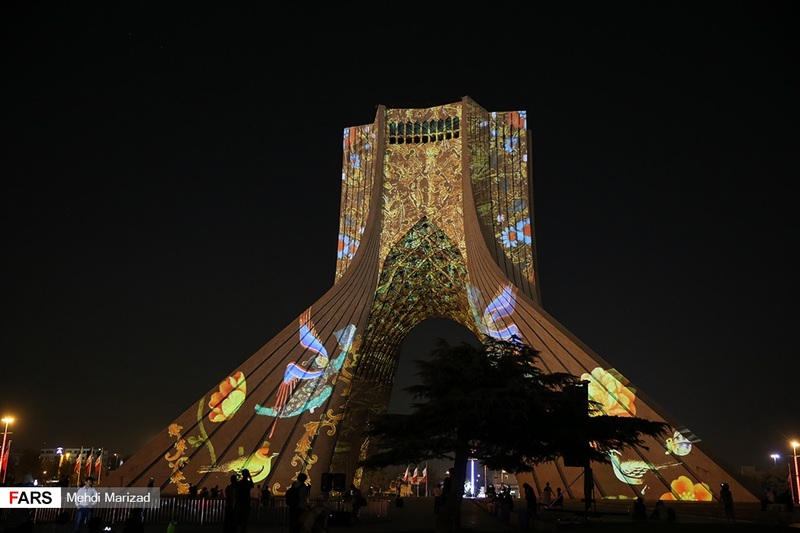 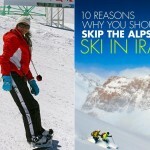 The Azadi tower in Tehran also called the Freedom Square, is the landmark of modern Tehran. 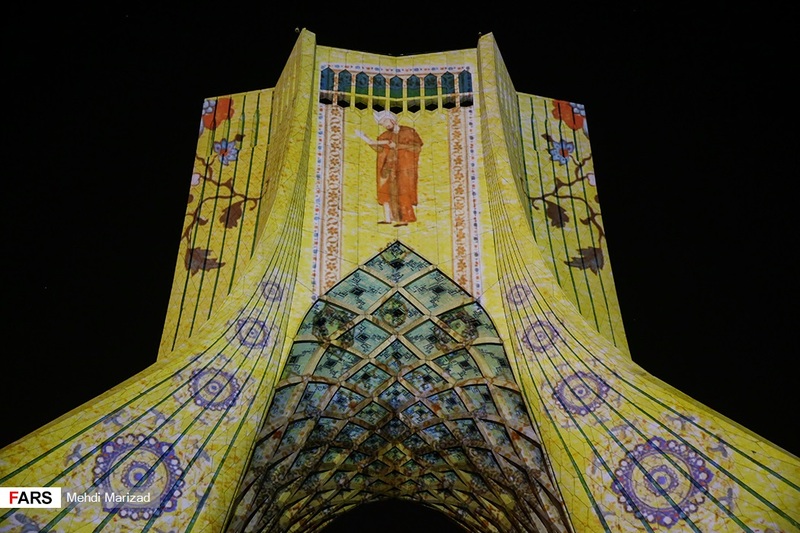 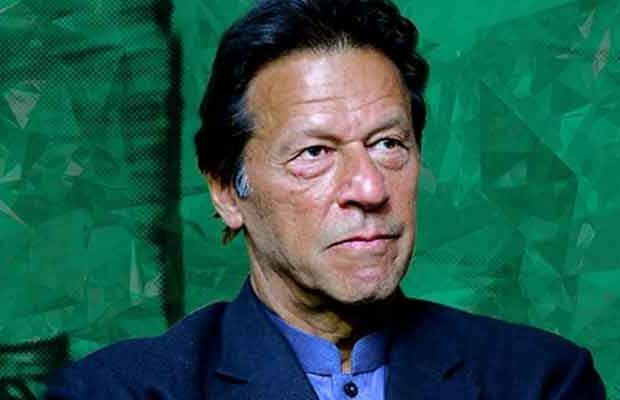 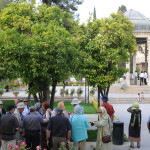 The architecture establishes a connection between the modern, Islamic architecture and the Sassanid style.